Brockley Road looking north from the garage probably in the late 1940s. The original picture was taken considerably out of vertical and has been rotated back so the scene is level. 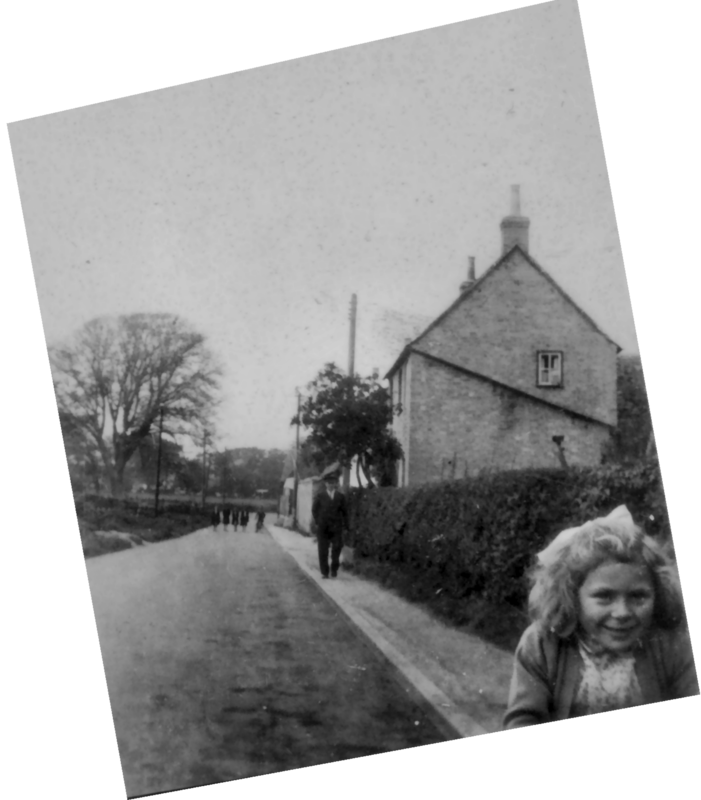 The picture was probably taken in the late 1940s as the girl in the picture is Ann Papworth. Also, power cable can be seen on the right of the road as well as the original telephone lines on the left. The road is now paved and a pavement has been built. It is noticable that there are no vehicles visible in the picture.